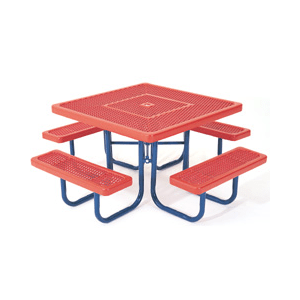 The Family Gathering (Wide Top) is a 46 inch square table with 4 bench seats. 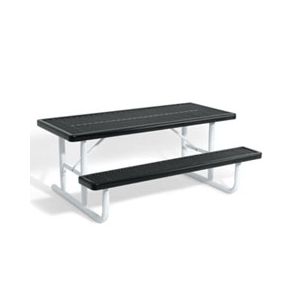 We also offer an ADA version that is 46 inches by 54 inches with only 3 bench seats for wheelchair accessibility. 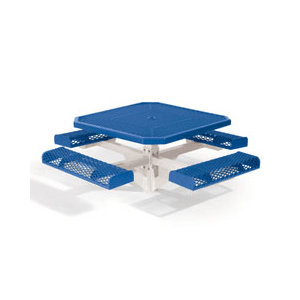 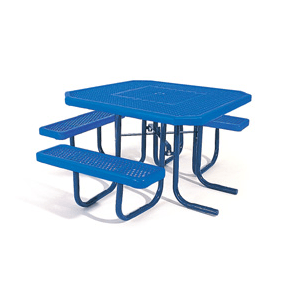 This is a portable table with anchor holes.